White mittens on an orange kitty, want to shake paws? We can play pawsies or shake paws. 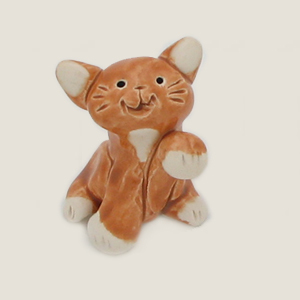 At 1.5 inches tall, you need tiny fingers to engage in pawsies with Mittens.